Decades of cold weather, OUTDOOR recreation experience, means we know what keeps us warm and what doesn’t. 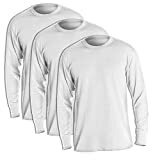 When shopping for good thermal underwear, choose top rated brands like Patagonia, Duofold & Carhartt. Look for customer reviews and choose only products with 4 stars or above.